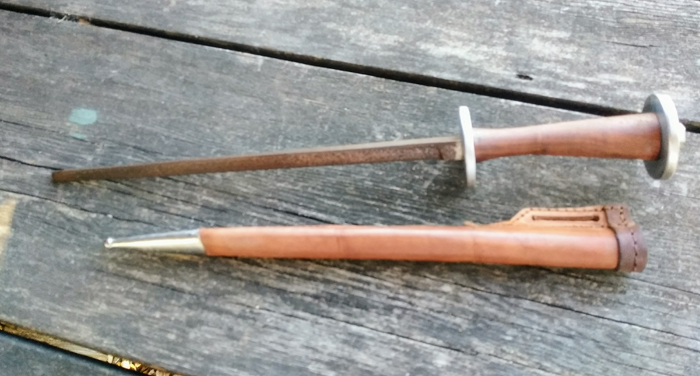 16" overall with an 11" triangular blade blunted for safety and naturally antiqued with a chemically stabilized finish. One of a kind. Price listed includes free CONUS shipping.